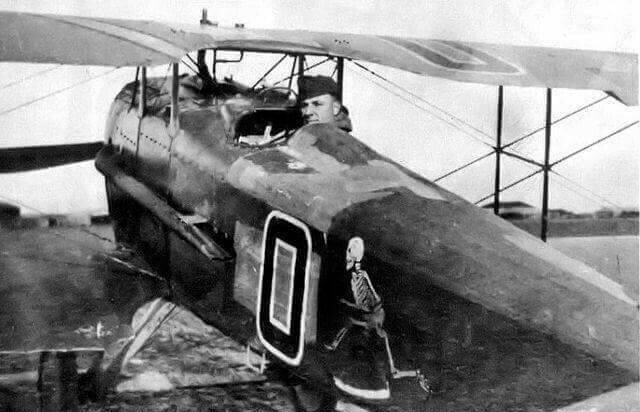 Charles J. Biddle with his SPAD S.XII "cannon fighter," which he flew with the American 13th Aero Squadron in November 1918. Image from Wikimedia Commons. My application for permission to enlist in the French Foreign Legion, Aviation Section, went in on March 24th. It takes several weeks for this to go through however and it was not until last Tuesday that Dr. X— notified me that I had been accepted. . . . The aviation fields and hangars literally stretch for miles and I can hardly guess how many machines there are here. I should say about six hundred. At the Curtiss school at Newport News there were about fifteen. This is the largest school in France but there are many other very large ones scattered all over the country. Any morning or afternoon when the weather permits the machines look like the crows flying home to roost from the marshes on the Delaware. On December 5 Biddle was flying a single-seat French SPAD XIII fighter armed with two machine guns synchronized to fire through the propeller arc. He spotted a German Albatros two-seater and gave chase—but during the dogfight both his guns malfunctioned, and he suddenly found himself without any working weaponry and within fifty meters of the enemy. Biddle’s letter, written three days later, recounts the pursuit and its outcome. With the dry, plainspoken humor that pervades his correspondence, he also describes the discomfort of plummeting 4,000 meters in a few minutes and the inadvisability of flying upside down for any length of time. In January 1918 Biddle transferred to the American 103rd Aero Squadron and was commissioned as a captain in the U.S. Army. On May 15 he was shot down by a German plane and crashed in No Man’s Land with a wounded leg, but he managed to reach British lines. 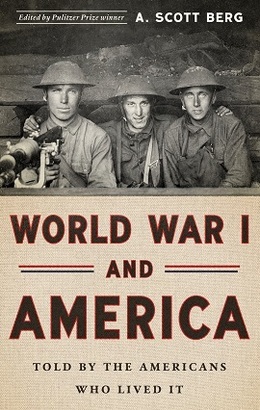 He returned to duty in July and was promoted to major in October—two weeks before the war ended. In all, Biddle was credited with eight victories in aerial combat. Note: Throughout his letter Biddle refers to the Germans as Boches, a pejorative term often used for German soldiers. Chasse (page 439) is the French word for hunt or pursuit. A renversement is an aerial maneuver in which the pilot reverses direction by doing a half-roll followed by a downward half-loop. The “Disparu” report (page 443) listed those missing in action. You already know that from one cause or another, I have not been able to get out on the lines for some time, and when I finally did get out last Wednesday, it was exactly three weeks since I had last seen them. . . . If you don't see the full selection below, click here (PDF) or click here (Google Docs) to read it—free! Walt Disney did an excellent movie about the Biddles -- with Fred MacMurray playing the father. Lesley Ann Warren debuted as the younger sister. The 1967 musical movie is called "The Happiest Millionaire." The movie was based upon the 1955 play. It was the last movie Walt Disney personally directed.